On February 12th of this year, Bothell, Washington resident Susann Smith didn’t show up for work. She was found bludgeoned to death with an ax–and stabbed– in the bathtub of her home. This murder set the community on edge and to date a suspect has not been arrested. Allan has been named as a person of interest and the media has reported that he’d done an online search about countries without extradition treaties. The police are also investigating purchases he made including a bicycle that might have been used in the murder. To put it bluntly, all signs are pointing to the estranged ex-husband, who lived just two miles away. The ferocity of the attack that was clearly designed to make sure Susann Smith was dead reeks of domestic violence. I could imagine it being committed by someone who desperately wanted her to know that he had power over her life and was in control of her final moments. This is someone who could walk away from a brutal homicide and go back to work without batting an eyelash because he felt it was justifiable. A couple of weeks ago the local media reported an intensely disturbing development in this case– Allan Smith was moving Susann’s belongings out of the house and doing some repairs so he could move in. He has since moved back into the house where she was killed and is going to pursue custody of their children, who are currently under the care of Child Protective Services. 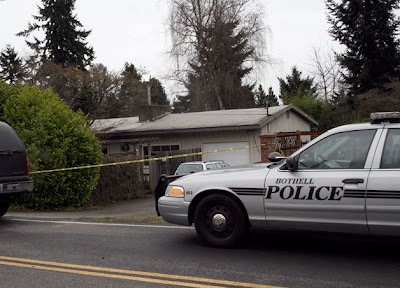 The house was a crime scene and the police served a search warrant there at the end of February, so I’m assuming they felt confident enough in their evidence gathering for Allan to remove Susann’s vehicle, have her blood scrubbed up, and remove sheetrock, which is what the Bothell Reporter said they did. Allan Smith has not been officially named as a suspect and the Bothell Police might be trying to create an airtight case before arresting him. But many people are concerned about his being allowed to continue on with his life as if nothing happened, including some neighbors. When a suspect is still on the loose, it’s logical for community members to wonder if this is an isolated incident, if there is a serial killer on the loose, to wonder if themselves and their own family in danger, and simply have a lot of questions in general. Sometimes the police could do a better job of rumor control and PR while a case is under investigation. Initially the police asked for the public to share information and are still welcoming that, but inviting input without much output can make people reluctant to respond. I realize there may be excellent reasons for not sharing more about the case, but they have been fairly open about what evidence has been found so far, so I’m as curious about this as Smith’s neighbors are. Hearing that the person of interest was moving back into a homicide victim’s house reminded me that some killers feel a great sense of power and satisfaction when they return to the scene of a crime. This is common in serial arsonists, who like to return to their crime scenes to feel the rush they get from viewing their own work. This also reminds me that killers sometimes like to have trophies and mementos from their victims so that they can relive the crime and relish the sick satisfaction they got from taking a life. It’s like a man conquering a mountain and then standing there proudly next to the flag he just planted at the summit. In a domestic violence case, it’s likely that a suspect moving back into a residence he used to share with the victim could be his way of gaining back something he thought was taken from him unfairly. It sounds like Allan Smith felt like he was having to work too hard to pay for too many of his estranged ex-wife’s bills and for child support. Seattle-area news reporters have already asked the obvious question– will this be a repeat of the Powell case? Josh Powell was suspected of murdering his ex-wife but gained visitation with their two boys, who he brutally murdered seconds before he burned the house down with them in it. See http://wildninja.wordpress.com/2012/02/06/3084/. It has always boggled my mind that men suspected of murdering their children’s mothers are allowed to have visitation or even custody of those children while they’re being investigated. Seattle attorney Anne Bremner and others told the world that Josh Powell would murder his two sons before it happened, but those two innocent little boys were slaughtered anyway. Susan Powell is still missing and Josh Powell’s creep of a father, who’s currently in prison, won’t talk. I don’t know the details of how or if Allan Smith could get custody of his and Susann’s children. I’d imagine that if an arrest is not made soon or if he’s not arrested at all it could happen. Even if he’s completely innocent, those children should not be living in the home were the traumatic event of their mother’s murder happened. They shouldn’t have to use the same bathroom or even bathe in the same bathtub she was hacked to death in. That Allan Smith would even consider bringing the children back to that home shows a shocking lack of sensitivity for the children’s well-being. That is typical of many domestic violence cases– the perpetrator’s actions are not about what’s in the best interest of the children, but about power and control. Allan attended Susann’s memorial service, and while he’s innocent until proven guilty, that is another classic move of spouse killers. Also, what parent is going to let their own children go over to that house to play with the Smith children? At least one of Allan Smith’s family members has said that Susann was contentious and verbally abusive. If she was, does that justify any abuse or murder? Does her behavior– if that’s true– absolve her estranged ex-husband of any criminal actions? If she had any mental issues, were they a result of chronic stress and abuse? From personal experience I know that outsiders are so quick to judge when they lack empathy for what a victim might be going through. They attribute stress and emotion to the victim rather than what might be happening to the victim. There are other questions. Could Susann have been threatening to go back to Germany to protect her children? Could Allan, who had accused Susann of sexually abusing their son, have killed her under the pretense that he was protecting their son? If arrested, how will the defense spin that? Is the defense going to claim that Allan Smith was already convicted in the public eye? It will be interesting to see how this plays out. This homicide was obviously premeditated and organized. It appears that the suspect was out for revenge and to regain a sense of control. In conclusion, I’m very disappointed that this case has not gotten more news coverage. 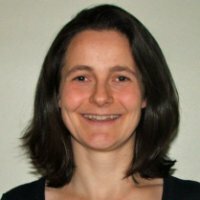 The Bothell Reporter has stayed on the case and reports updates as they get them, but where is the outcry and outrage over a local woman being murdered and the liberties the person of interest has taken? Are we so desensitized to murder because of video games and TV that we simply turn away and move on? Has Seattle-area society become the fabled priest and Levite in the tale of the Good Samaritan? A woman is dead. Her possible killer might take legal action to force their children to live in the crime scene were she was murdered. Other people we know will be murdered in the same manner and by their partners and spouses because we turn a blind eye to domestic violence so often. This case should be a reminder that this can happen in every strata of society and it will only end when a majority decides not to tolerate the abuse and killings of their fellow human beings anymore. Heidi...This is an interesting read.... I imagine some people may be desensitized....or think...."this was a couple from a foreign country" and pay littler attention. We just spoke on my radio show of Susan Murphy-Milano's books, Time's Up and Moving Out, Moving On...the importance of safety planning AND keeping quiet about your future escape plans...or someone dies...as in this case. The EAA was never so needed! Thanks. The father is American, but you have an excellent point about the woman being from a foreign country. Hmm. Interestingly, I received a comment from someone from Germany claiming to have known her through my personal blog. I'm with you; I just don't have a good feeling about the children's safety if he were to get them back. I know that the Powell case is fresh in everyone's minds but that could be for good reason. Regardless of what any of us feels, does it make SENSE for a man suspected of brutally murdering his wife to have custody of their children?! My estranged husband has assured me that my daughter and I are next. Coincidentally, our cases are in the same county. I hope that you are taking all necessary precautions. 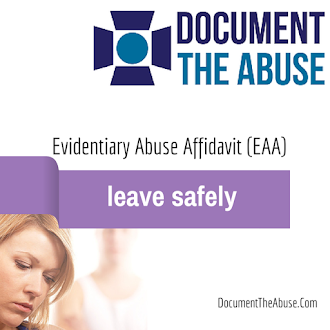 If you need assistance I highly recommend going to http://documenttheabuse.com for information about creating an Evidentiary Abuse Affidavit. There are contacts listed there that can help you. Don't wait....do it today...do it for your daughter...and do it for yourself. Please let me know if there's anything more we can do for you and your situation.